The indie drama The Friend has found three of its starring roles. 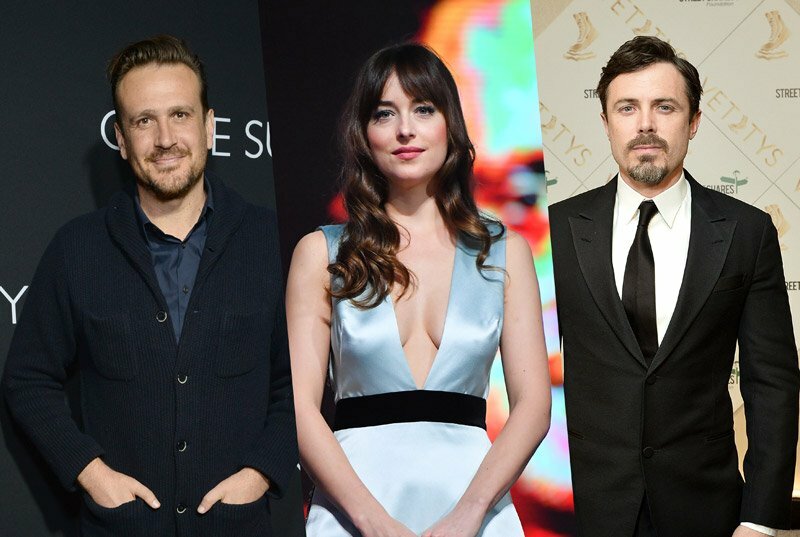 Per a report from Collider, Dakota Johnson (Suspiria), Jason Segel (This Is 40) and Oscar winner Casey Affleck (Manchester by the Sea) will all appear in the film, which is directed by Gabriela Cowperthwaite (Blackfish). The Friend will tell the extraordinary true story of Nicole and Matthew Teague. When they learn that Nicole has just six months to live, they receive the unexpected support of their best friend, who moves into their home while putting his own life on hold. His impact on everyone is much more profound than anyone could have imagined. Johnson and Affleck will play the Teagues, while Segel will play the couple’s best friend. The script comes from Brad Ingelsby (Run All Night), which is based on Matthew Teague‘s National Magazine Award-winning article that first appeared in Esquire Magazine. Ridley Scott‘s Scott Free banner will produce with Black Bear Pictures, and Scott will also serve as an executive producer. Kevin Walsh, Michael Pruss and Ryan Stowell will produce for Scott Free alongside Black Bear’s Teddy Schwarzman (Ben Is Back), and Ben Stillman and Michael Heimler will serve as executive producers along with Ingelsby, Teague, Scott and Ted Deiker. Scott Free’s Rebecca Feuer will associate produce. Production is set to start next month in Fairhope, Alabama, which is where the real Teague family resided.